„An apple a day keeps the doctor away” according to an ancient Romanian saying. Your Heart Agenda is a reflection of this precise proverb since prevention is, first and foremost, the most efficient method of staying healthy and fighting the appearance and progression of illness. 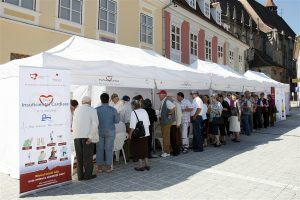 With this publication, the Foundation appealed to the Romanian population, promoting a healthy lifestyle. As such, Your Heart Agenda is an education tool destined to help monitor weight, fruit and vegetable intake, the 30 minute daily exercise routine and the 6-8 hours of sleep each night. 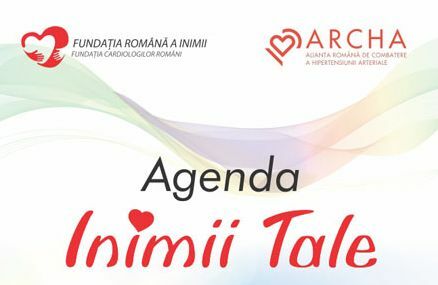 The second edition of Your Heart Agenda brings an element of novelty: a chapter titled “Heart to Heart” featuring articles written by personalities such as Andrei PLESU, Dan C. MIHAILESCU, Razvan MAZILU and Dan NEGRU. ACT NOW. SAVE A LIFE.